The exterior of your home is the first impression people have of it and you, so how do you choose between the numerous different siding available? Carey asked me to do some research and write this article and I had him help me for accuracy, here is some basic information about siding types. Brick – Clay bricks have long been a southern favorite and for good reason, they last forever! Very beautiful with a long list of varieties and colors to select, brick is a traditional favorite. Cement – Name brands are HardiPlank and HardiPanel®, this is a very durable man made siding that looks like wood, is fireproof and termite proof and it never needs painting! 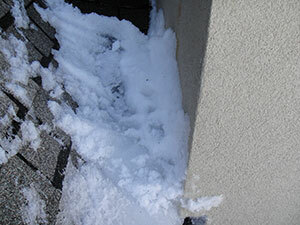 Stucco – Stucco got a bad reputation after the 1950’s when synthetic “stucco like” materials were used and the results were not favorable. But today’s stucco is a high quality synthetic that is very durable and can be tinted to any color or shade you wish. Stone – Real stone ex: granite, slate and limestone is too expensive to use as siding and now there are precast stone siding available that looks and feels just like stone, lasts a lifetime and at a fraction of the cost. If stone is the look you seek, stone veneer siding is for you. 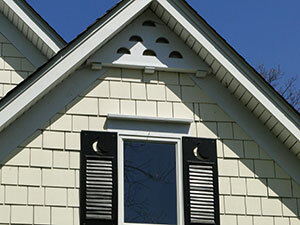 Wood – The most commonly used siding for centuries, it does have a lifespan and will need painting periodically. Susceptible to termites and various other issues, wood siding has been almost entirely eradicated with the newer more durable sidings available today. Cedar – Cedar Shake siding is not in the category of traditional wood siding, it is very beautiful, is pest resistant and can be stained to a variety of tints. Cedar is an outstanding choice for a home seeking the traditional look and feel. Cedar siding will require staining periodically. Vinyl – Very inexpensive (compared to most siding) and fast to install, vinyl siding is very useful for rental properties where keeping the cost down and still looking very good is a priority. I hope this article will help you understand the assortment of siding available. This writing only touches the edge of the siding industry, if you would like an in-depth, detailed conversation on siding for your home, call me and I’ll send over the expert, my husband Carey. 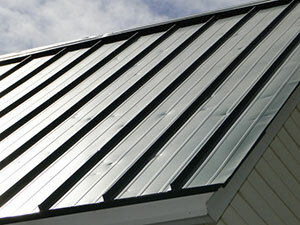 Carey and his team finished a metal roof on a China Grove home yesterday. The homeowner asked about metal vs. shingles and my husband explained how much longer a metal roof will last and the cost difference compared to shingles. In our opinion, if you are considering a metal roof think about how long you plan to live in the home and if you want to replace a roof in 15 to 20 years. Even if you plan to sell the home, a metal roof will increase the overall value of the house not to mention the curb appeal.